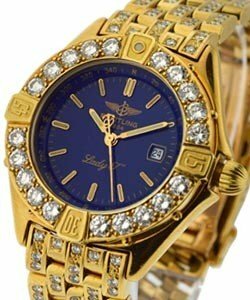 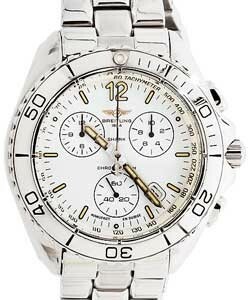 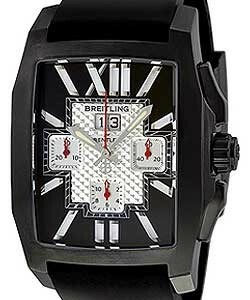 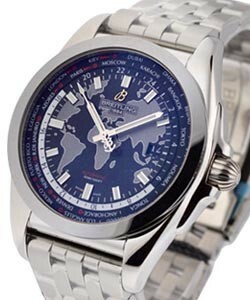 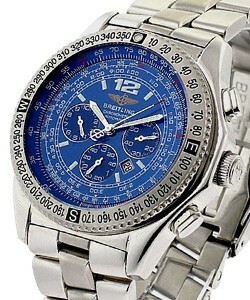 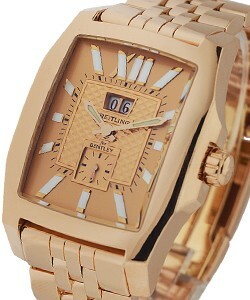 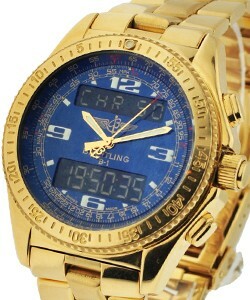 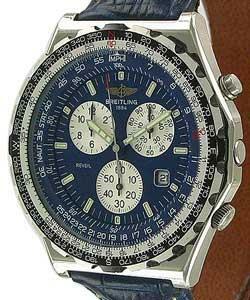 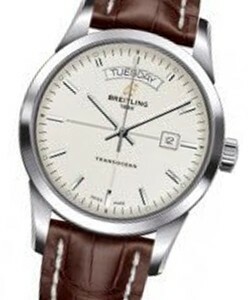 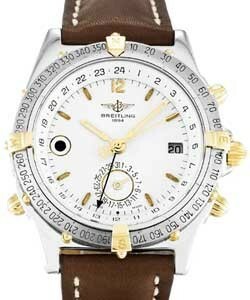 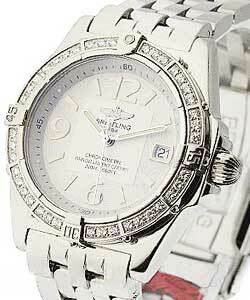 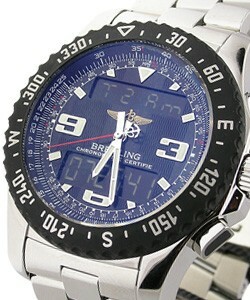 Breitling was founded in 1884 by Leon Breitling in St. Imier, Switzerland. 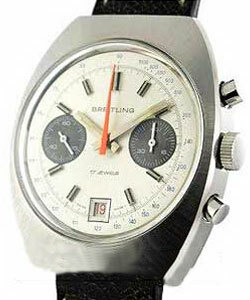 His specialty from the start was the production of Chronographs. 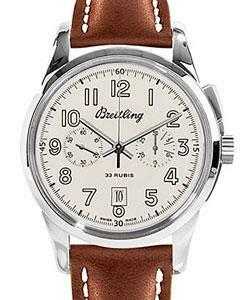 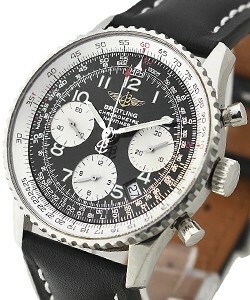 In 1936, most airplanes were fitted with Breitling chronographs. 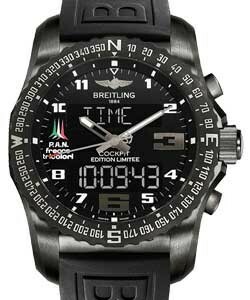 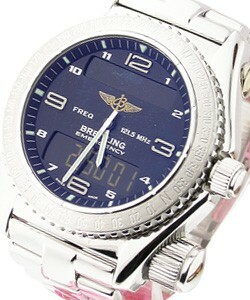 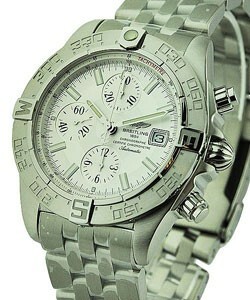 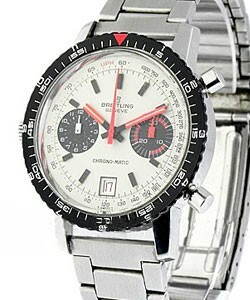 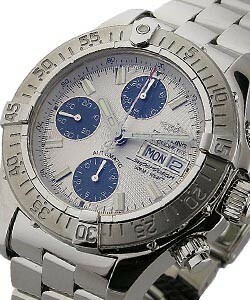 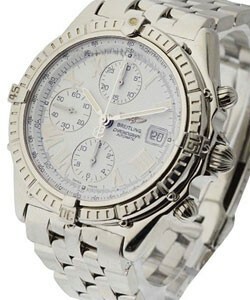 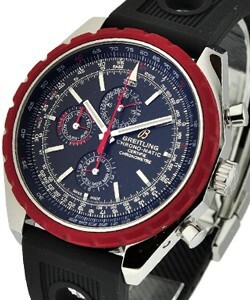 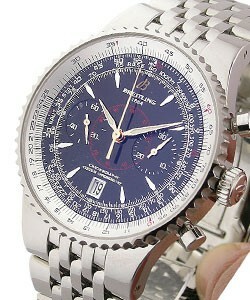 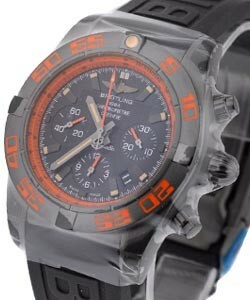 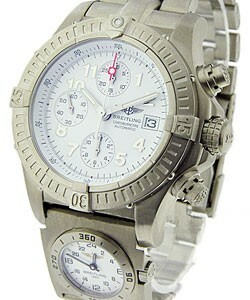 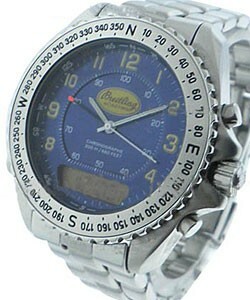 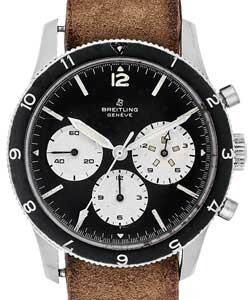 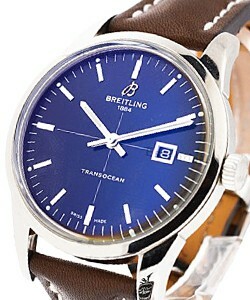 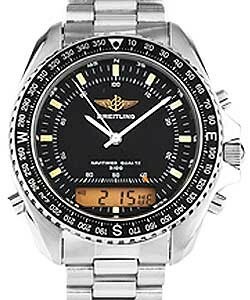 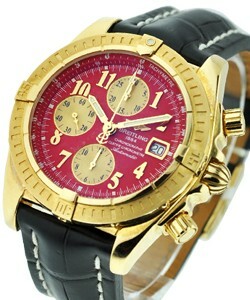 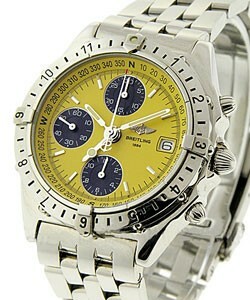 In the mid 90's, Breitling launched the life-saving 'Emergency'model that could trigger a rescue anywhere in the world. 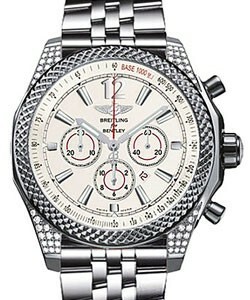 Most recently, the partnership with Bentley has really catapulted the company to great heights. 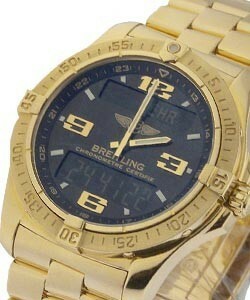 Breitling watches are 'Instruments for Professionals'. 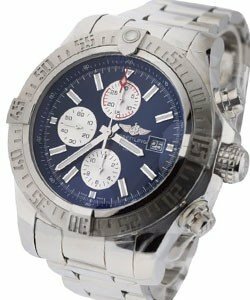 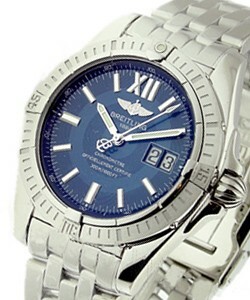 Known primarily for being a favorite of aircraft pilots, Breitling watches are very popular with people from all walks of life. 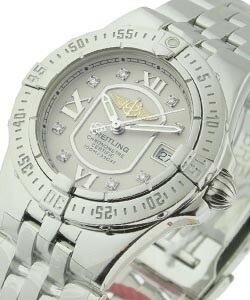 Breitling watchmakers are governed by four essential criteria: sturdiness, functionality, precision and aesthetic sophistication. 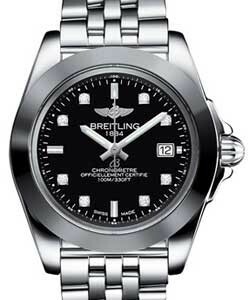 You can be sure that any watch released by Breitling will have achieved the top echelon in all four, before being named a 'Breitling' piece. 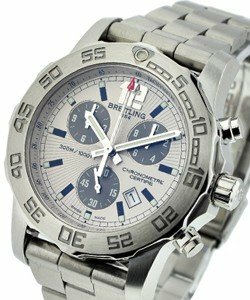 The Breitling 'Windrider' collection features the exclusive style and rotating rider-tab bezel of Breitling's most popular watch, the sturdy, precise and functional chronograph,'Chronomat'. 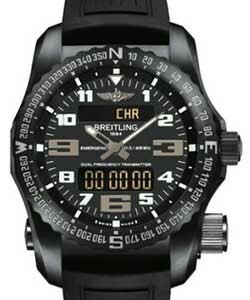 'Chronomat' is equipped with screw-locked safety push pieces, allowing it to withstand overpressure of 30 bars, and is powered by Breitling caliber 13 self-winding chronograph movements. 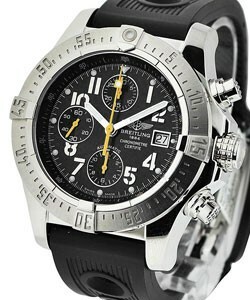 'Windrider' also features 'Chronomat Evolution', 'Cockpit', 'Chrono Cockpit', 'Cockpit Lady', 'Starliner', the cosmopolitan-looking 'Galactic' and the special series 'Blackbird'. 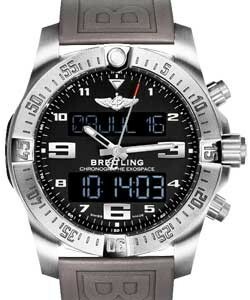 Breitling's 'Navitimer Chronograph' is a professional instrument with the capacity of measuring short periods of time, and features its 'navigation computer' feature, keeping it at the top of Breitling's most popular since its launch in 1952. 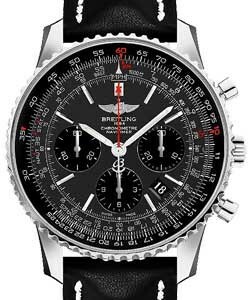 Worn by pilots everywhere and chosen by the AOPA as its official watch, the Breitling 'Navitimer' series features 'Navitimer', 'Chrono-Matic', 'Navitimer Heritage' 'Navitimer World' with GMT/2nd Time Zone and 'Cosmonaute' with fly back adversity. 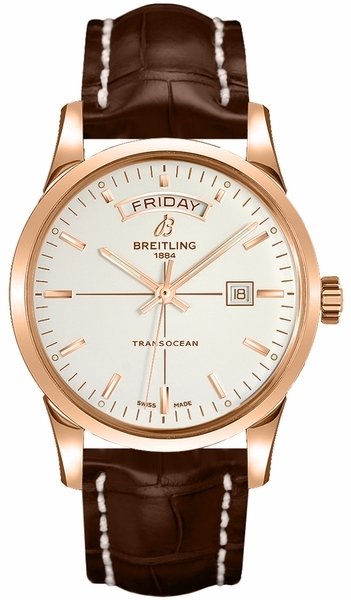 Navatimer 'Montbrilliant' models feature 'return-to-zero' push button and circular 'slide-rule'. 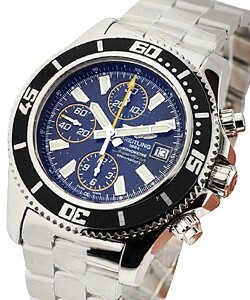 Variations include 'Montbrilliant Olympus', 'Montbrilliant Datora' and the 47mm giant, 'Montbrilliant Legende'. 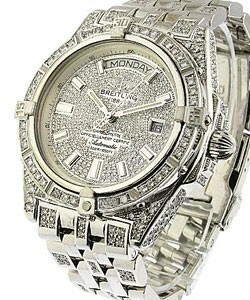 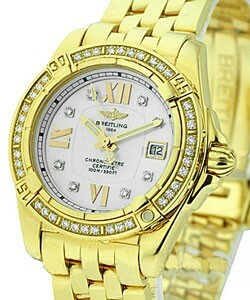 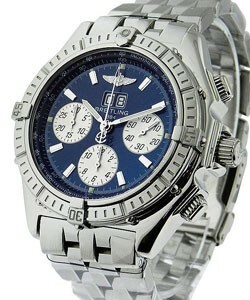 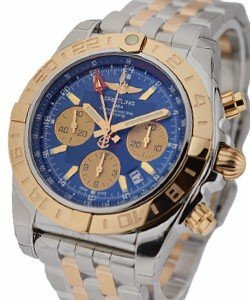 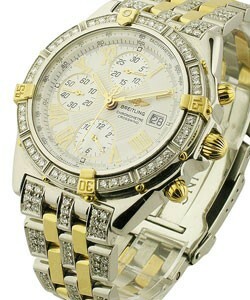 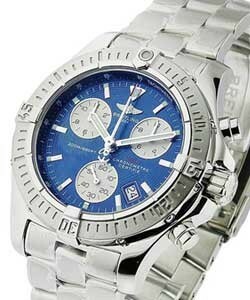 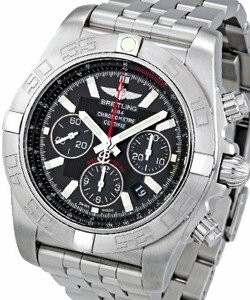 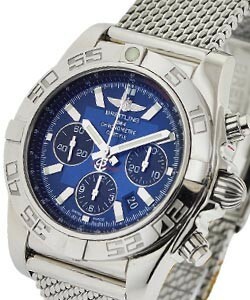 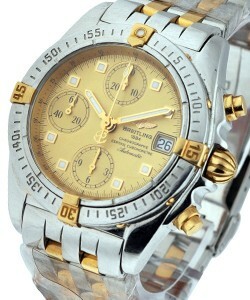 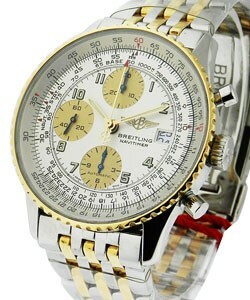 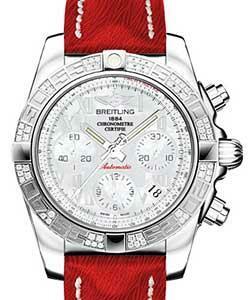 The 'Professional' line features flight-specific Breitling chronographs. 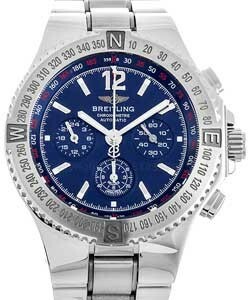 One exceptional model in this line is Breitling's 'Emergency', an instrument watch with built-in microtransmitter, broadcasting on the 121.5 MHz aircraft broadcasting frequency. 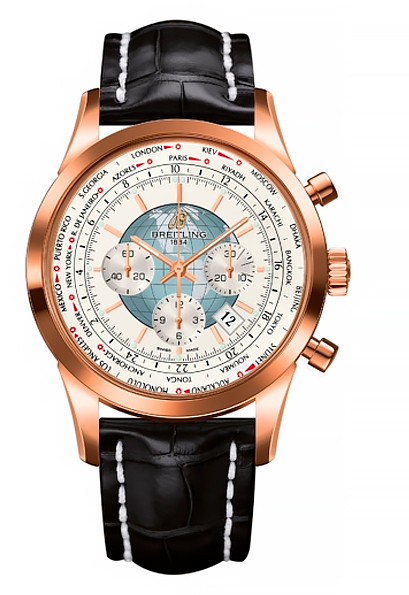 The less dramatic and very user-friendly 'Aerospace', is avail in very light titanium as well as in 18K white or yellow gold. 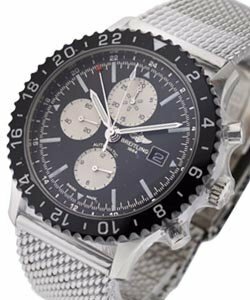 Also part of the 'Professional' line are the incredibly high tech black and steel 'Airwolf Raven' and 'Skyracer Raven', both with rubber molded push pieces and bezel. 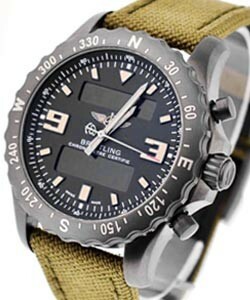 Breitling's rugged 'Aeromarine' line is for the sports enthusiast. 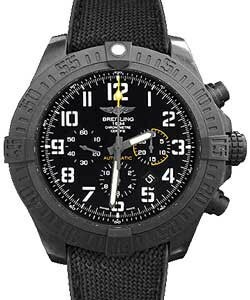 Whether more at home on land, in the air or at sea, these watches are prepared to weather anything you throw at them. 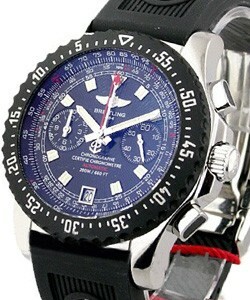 The generous sized 48.4 mm 'Super Avenger' is extremely functional and surprisingly very comfortable, the 'Avenger Seawolf Chrono' is fully operational at a depth of 1000 meters, and features a special 'yachting' graduation, and Breitling's 'Superocean' is a professional diver's watch, water resistant to 1500 meters. 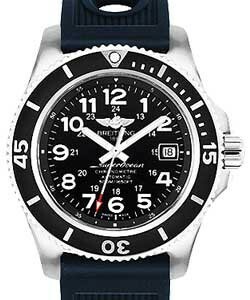 Other models include: 'Avenger Skyland', 'Chrono Superocean', 'Chrono Avenger', 'Chrono Avenger M1', 'Superocean', 'Superocean Steelfish', 'Superocean Heritage', Chrono Colt', 'Colt GMT', 'Colt Automatic', 'Colt Quartz', and 'Colt Oceane'. 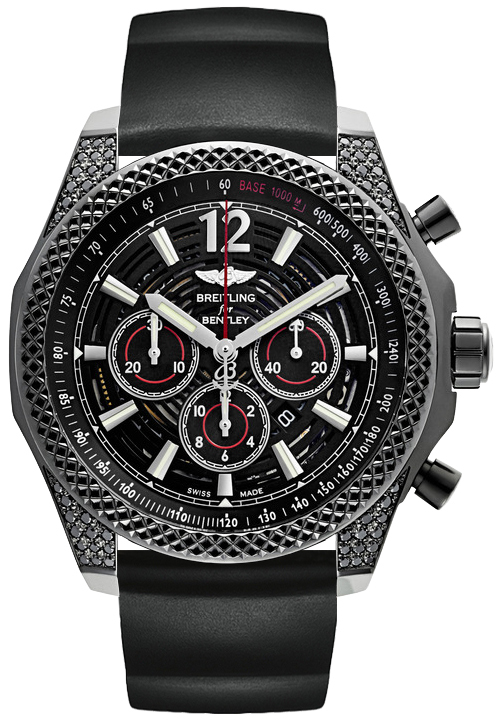 The 'Breitling for Bentley' ('Beautiful motors encased in beautiful bodywork') series features self-winding chronograph watches, and advanced aesthetics, getting inspiration from the emblematic design of the Bentley brand. 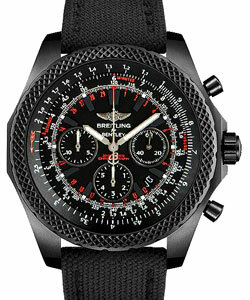 Models include: the cambered rectangular cased 'Bentley Flying B', the ultra-stylish 'Bentley Flying B Chronograph' and the colored-dialed mid-size 'Bentley Flying B N 3'. 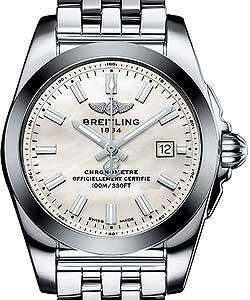 Also part of the 'Breitling for Bentley line is the sophisticated and complicated 'Bentley Mulliner Tourbillon', the elegant 'Bentley Mark VI', and various 'Bentley GMT', 'Bentley 'Racing' and 'Bentley Continental Supersports' models. 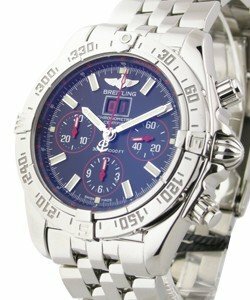 All 'Breitling for Bentley' watches exude elegance and expertise and a combination of British chic and Swiss tradition and are very rare and exclusive watches.